The arrival of a talented, ambitious and unusual new family leads to mayhem and murder in the peaceful Cotswold village of Folly-on-Weir. The idyllic Cotswold village of Folly-on-Weir, with its traditional pub, sumptuous tea rooms and fragrant bakery, is a piece of paradise found … until ‘those incomer Quillams’ arrive. 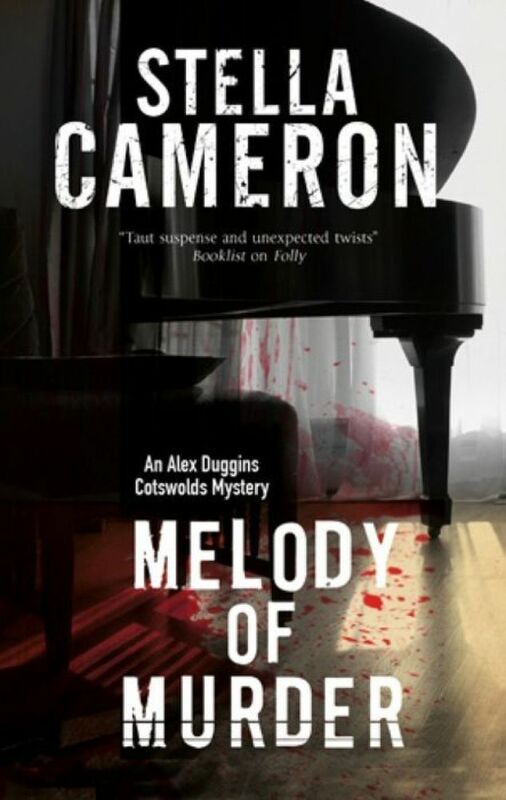 A young piano virtuoso and his neglected but talented half-sister, their controlling father, the pianist’s beautiful, acquisitive and passionate mother, an ambitious family retainer, and an intimidating woman who has always run the Quillam household form a successful little empire — until it starts to crumble. The Quillams’ arrival has also attracted the attentions of a sly, clever and perverted killer who desperately needs a jackpot and knows where to find one — if the obstacles can be removed. Once again pub owner Alex Duggins and her veterinarian friend Tony Harrison must use their wits and resourcefulness to prevent further carnage — and ensure that they themselves don’t become the killer’s next victims. This entry was posted in Alex Duggins Mysteries, Books, Mystery by Celeste Faurie. Bookmark the permalink.